48-inch x 100 ft. Brite Aluminum Screen Protecting people from annoying and often disease-carrying insects, Phifer's Aluminum Screen sets the standard for the screening industry's level of quality and dependability with the production of a precision woven and uniform coated screen mesh. Phifer has been supplying aluminum insect screening to the United States and the world for over a half century. Aluminum screening is suitable for all window, door and porch applications and is available in three colour finishes. 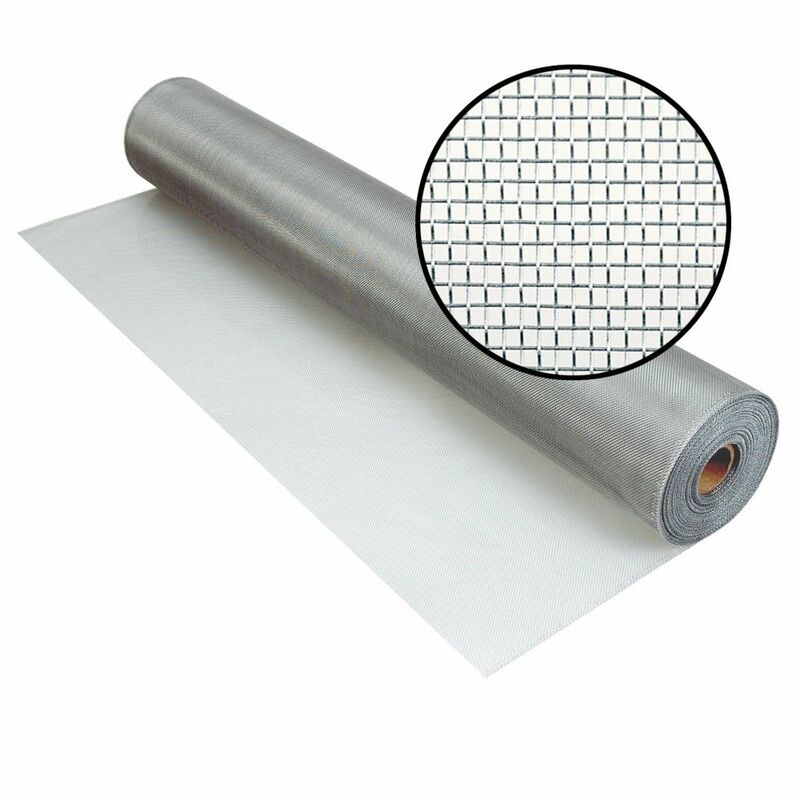 48-inch x 100 ft. Brite Aluminum Screen is rated 4.3 out of 5 by 8. Rated 2 out of 5 by Jerry from I guess I'm old fashioned. It seems nothing is made... I guess I'm old fashioned. It seems nothing is made as well as it used to. This wire would be fine if it weren't so thin. This makes it easy to cut, but almost impossible to install without getting creases on the finished project. The screen wires of old were tougher and not as easy to crimp. Rated 4 out of 5 by Aaaaaaaaaa from I picked the 100ft roll because using the pre cut rolls off the shelf would have resulted in lots... I picked the 100ft roll because using the pre cut rolls off the shelf would have resulted in lots of waste. Rated 4 out of 5 by Vanessa from Easy to install; sturdy enough material.... Easy to install; sturdy enough material.